We are about to get ready for the holidays. We bet that you are looking forward to shopping, baking, spending time with family, and packing your stuff to move to a new home! Wait, that last one doesn’t really sound as festive as all the others, does it? We get it. You never watched a beloved holiday movie that had the family filling up boxes and moving off to a new home. But just because it isn’t always the norm doesn’t mean that a move during the holidays has to be hard. If you are wondering how you will ever survive moving during the holidays, we have the answer for you. Here are some ideas we put together for you that will make the packing and move a lot less stressful. We all have a ton of clutter in our home. We often don’t even realize it until we go to pack for a big move. Then, all of a sudden, you need extra boxes for all of your belongings. The first step to a holiday move is to tackle all of that clutter first. This is the perfect time of year to donate items that you don’t want, so begin by finding a local charity that will take them off of your hands. You may also wish to sell them for some extra spending cash. If something is broken or damaged, don’t hesitate to throw it out. Now you’re left with the belongings that you can concentrate on packing up! We all know just how busy the holiday season really is. You want to give yourself some breathing room by beginning your packing as early as possible. When you know for sure you are moving, start packing. We bet you can find some things that you don’t really need to pack away now. Then, try to pack a few boxes a week until you are finished. If you look around your home a week before the big move and realize you just can’t do it all, don’t panic- that’s what moving companies are for! Easy Movers, a local moving company, can come in and will pack up your belongings quickly and efficiently. We know that you are extremely busy getting ready for your move during the holiday season. 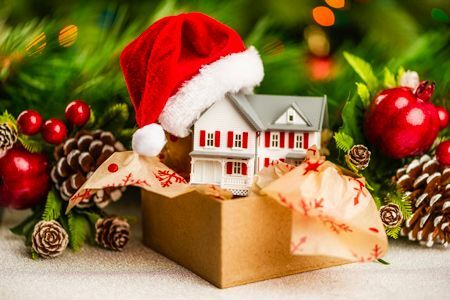 It can be tempting to skip out on holiday traditions, especially when they take money and time, both of which are probably scarce during your move. But it is really important to try and maintain a normal routine during this time. We definitely encourage this if you have kids who need to see that things are still normal, even when they are hectic behind the scenes. Do what you can to enjoy holiday traditions while you ready yourself for the big move. Yes, we just encouraged you to keep up with your traditions. But if one is to host a huge holiday party, it is better to find another family member to host it instead. If you don’t, you will be faced with getting your home ready for guests while simultaneously trying to get ready for the move. We can assure you that your family members will not have a problem with it, especially if you tell them you won’t forget your sweet potato pie for dessert! We bet you will want to decorate your new home for the holiday’s right after you move in. You won’t want to be digging through dozens of boxes looking for all of your decorations. Make sure that when you do pack them in your old home that they are labeled clearly. That way, you can grab them as soon as you get to your new home! If it makes it easier for you, Easy Movers can carefully pack them for you. You may not realize it, but moving companies get booked up quickly during the holidays. Call and schedule an onsite moving survey at least three to four weeks beforehand in order to get the date that you desire. Whatever day you want, be sure to schedule it well in advance. It will take the stress off of you knowing that you have Charlotte movers lined up for the big day. Ready to move during the holidays? 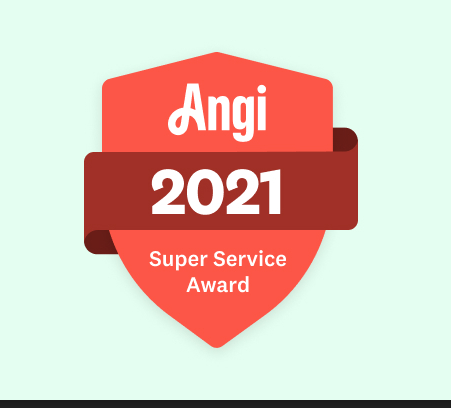 We’d love to help you! 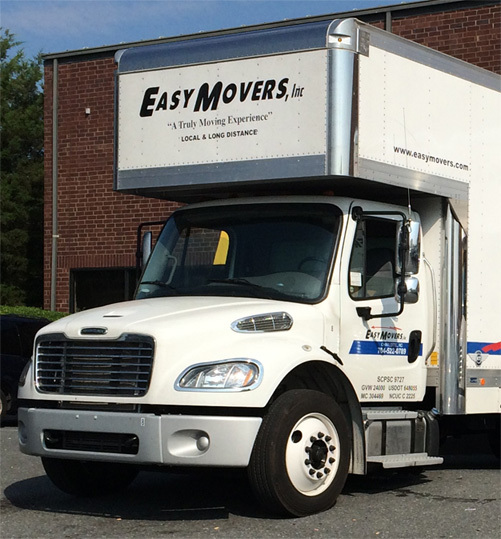 Just contact Easy Movers today for a free moving quote in Charlotte, NC.